The dog days of summer are here and most the country is getting crazy from the heat. As much as we hate to care about fashion, we must because temperatures are rising. Our normal threads are not cutting it in the summer heat and the ladies are on high alert. Putting in a little effort on your summer gear is essential to achieving the ultimate ride as Bodhi says. It will also keep you from looking like a Moscow Mule and trolling Tinder daily like a scorned divorcee. 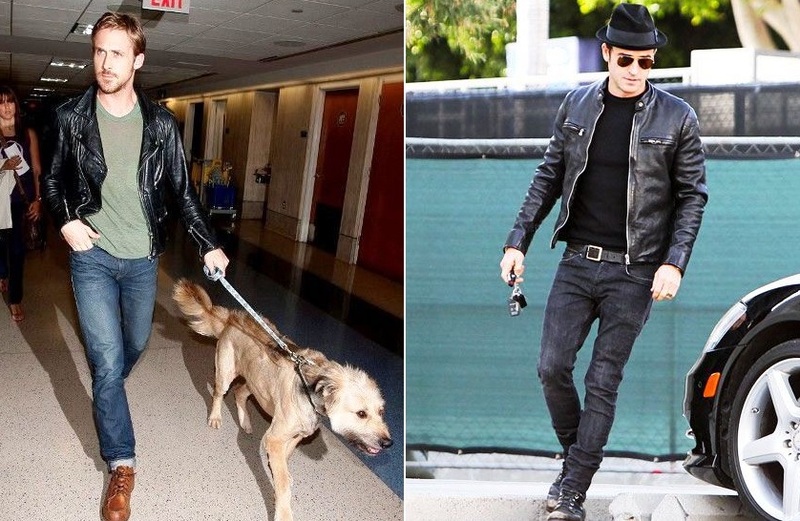 Just like we wrote in our very first article about Finding Your Style; if you don’t really want to understand men’s fashion, but want to look good – keep it simple stupid. Go with the basic styles that have been cool since The Fonz – leather shoes, white shirts, jeans. Here are some other ideas to get your summer style poppin. Few pieces of clothing in your closet are quite as versatile as the plaid button down. Plaid is one of those cool patterns that always looks great and can be worn on several occasions. Whether it’s a night out with the guys, going camping, or even taking that special someone on a date. A plaid button-down can have a cool retro 50s look that is timeless and still cool today. Many styles have snaps instead of buttons which ladies dig and is helluva lot easier to wear with no hassle of replacing buttons. The presence of a collar tells all that you made an effort and have a some sense of style. It’s much better than wearing a t-shirt but still casual enough that you’ll look cool at the local watering hole. Don’t believe us? 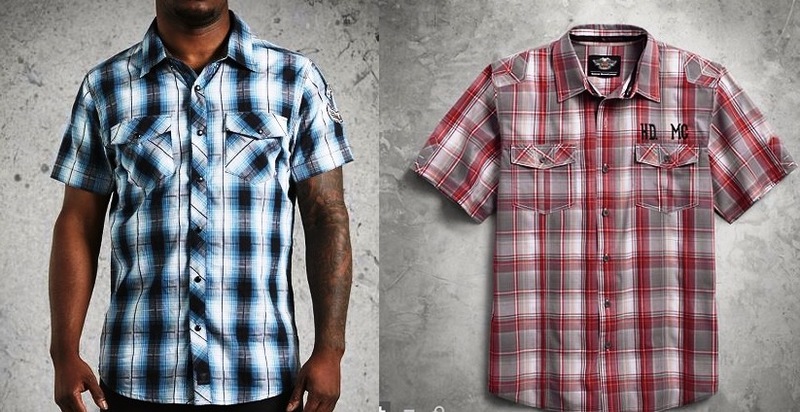 Even Harley Davidson is making plaid shirts . Naturally, you need a good pair of shades if you plan on going outside. 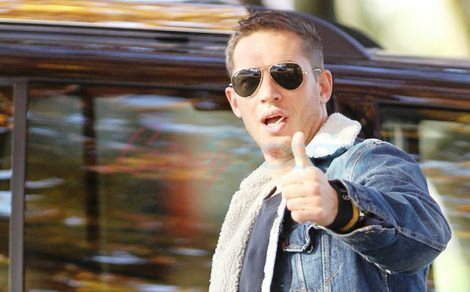 According to Vint and York, aviator sunglasses are making a big comeback this year. According to The Rugged Male, they never left —particularly the simple metal framed style. 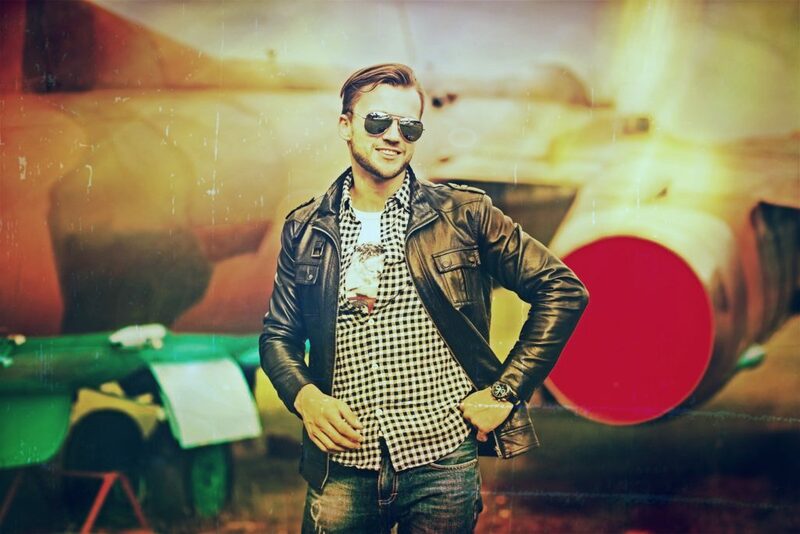 Aviator sunglasses have been a staple of style and culture since WWII. Every man should own a pair in addition to other styles. Stop rockin your cheeseball plastic Oakleys to events. You’re not making the turn, you’re in real life now. We’ve already explained how to pick up a pair of sunglasses and pick up your style. Get on it. We’ve already advised you how to go shopping for a pair of jeans. 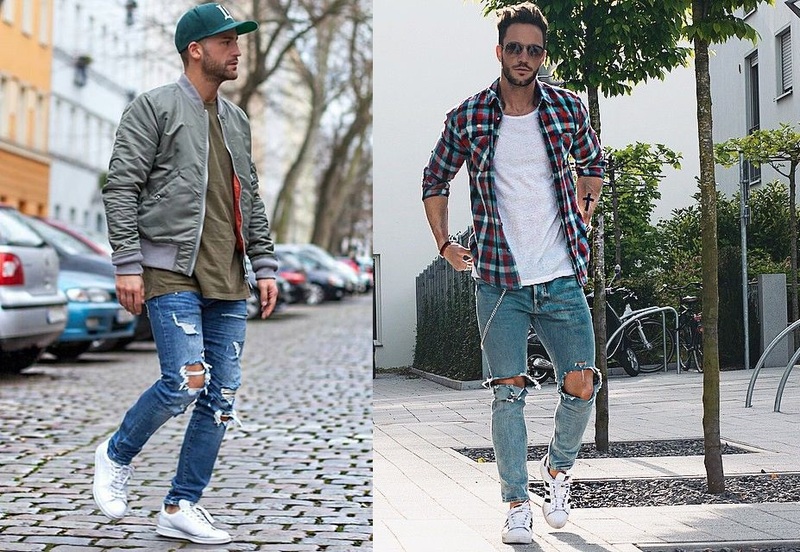 Well this summer is the time to either resurrect that old pair of jeans by taking them to the tailor or picking up a new pair. Stop wearing shorts every time you go out, especially if you are going to a decent restaurant. Wearing pants still looks better, even if its ripped jeans. Nobody wants to look at your knobby knees and white legs. Even a ripped pair of Levi’s with some patches looks better than the horrible hemmed shorts that are on the market these days. A good jacket might seem like overkill to most people in the summer, but anyone in the Bay Area will tell you that it’s a must. Rocking a fresh bomber jacket on those cool summer nights with a crispy clean t-shirt is perfect for projecting some style and comfort. 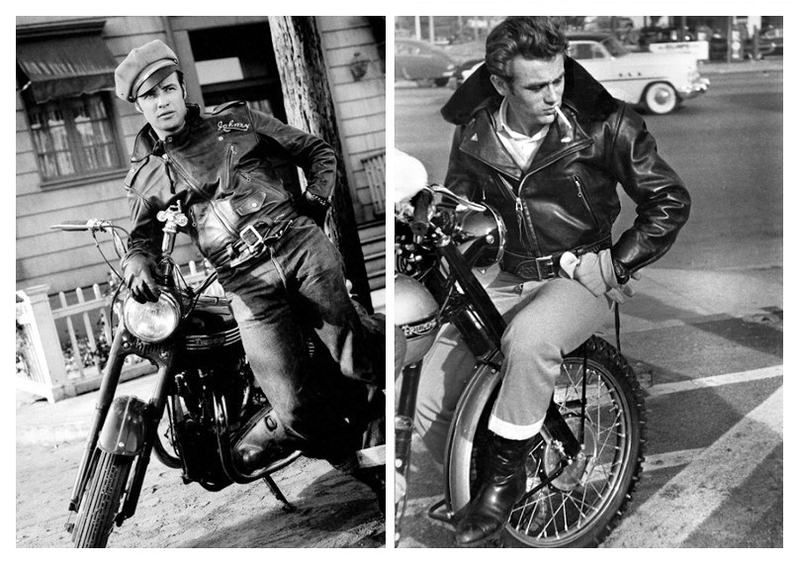 The leather bomber has been a men’s fashion icon since James Dean used to rock one while riding his 1953 Triumph, channeling Marlon Brando in The Wild Ones. A good hide will last you forever and be a candidate for MVP in your closet every season. There you have it lads, don’t mail it in this summer, style is free.